7 Kids and Us: Adventure Time Season 4 Now Available on Blu Ray and DVD! Adventure Time Season 4 Now Available on Blu Ray and DVD! Cartoon Network recently unveiled the highly-anticipated Blu-ray™ and DVD release of Adventure Time: The Complete Fourth Season. Available October 7, the two-disc DVD and single-disc Blu-ray release will feature all 26 episodes from the series’ fourth season, plus extensive exclusive bonus material. 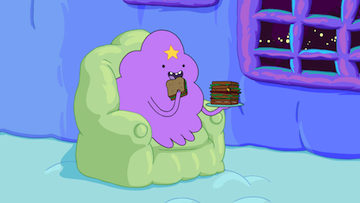 The highlight of the bonus features is a 19-minute Distant Bands: The Music of Adventure Time featurette with series creator Pendleton Ward, creative director Pat McHale, and storyboard artists Jesse Moynihan and Rebecca Sugar offering their commentary on the important role music plays in the series. 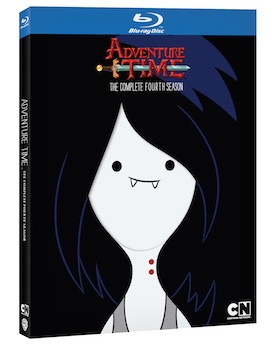 In addition, each episode will feature commentary with the cast and crew, and this time, it all comes packaged in a new collectible Marceline slipcase, a must-have addition to Adventure Time fans’ collections. The Blu-ray and DVD editions will be available for the suggested retail prices of $32.07 and $26.95, respectively. 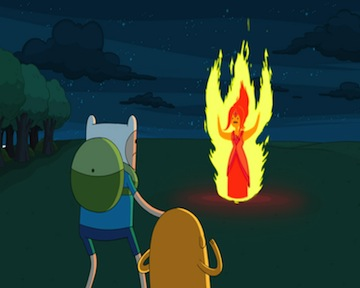 You can purchase the Adventure Time: The Complete Fourth Season HERE.